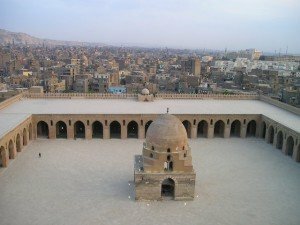 One of the world’s oldest and greatest civilizations, Egypt is home to more than 88 million people as of July 2015 estimates. Whether you live in Egypt, do business there, or are visiting on business or pleasure, you may find it useful to use international conferencing to communicate with a group of participants from around the world. Here’s what you need to know about Egypt conference calls. Egypt has a modern telecommunications system that was extensively upgraded in the 1990s. Its mobile networks are also modern with a penetration rate of nearly 100 percent according to the CIA World Factbook. While using Egypt’s domestic telecommunications network generally results in quality connections, hosting international conference calls in Egypt requires careful consideration. For example, if you choose an international conferencing service provider that uses VoIP, your calls could be affected by data loss, echoes, drop outs, stutters, and other quality of service issues common to VoIP. Our Egypt conference calls are routed over traditional PSTN fiber optic networks for HD quality audio. Make sure to prioritize audio quality, especially if your international conference calls will involve participants in countries with questionable telecommunications networks. Next, consider how your participants will join your call. If you were to hold Egypt conference calls with participants only located in Egypt, this becomes less of an issue than if you were to hold global conference calls. Why? Because international dialing causes both confusion and cost concerns amongst your participants — and a toll free number for Egypt won’t work internationally. Thus, you’ll want to use an international conference calling service provider that provides local and toll free phone numbers for each of the countries your participants are in. For example, if you have participants from the United States joining your Egypt conference call, rather than giving them an Egyptian phone number to dial, give them a USA toll free access number. Our international conferencing calling service then uses call forwarding to forward the USA calls to your Egypt conference. You could also opt to use local numbers for the cities your participants are in. For instance, if your USA participants are located in Chicago, New York, and Miami, you could issue local numbers for each city. Another option for joining international participants to your Egypt conference call is to use the moderator dial-out feature. This option generally gives you a lower per minute rate and is useful for countries with higher calling costs or those that lack local or toll free access numbers. Our Egypt conference calling service is a low-cost, high quality service that you can use as needed. Because it’s a pay-as-you-go conference calling plan with no contracts and no cancellation fees, you can use it however you’d like. If you need to host a lot of global conference calls none month and then just a handful in subsequent months, you can do so without penalty. Simply pay for the minutes you use. How are you using global conference calls in your business?